The first issue from the Curbly Library's 'Make It!' 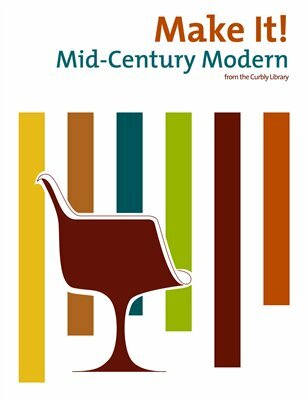 series, this issue is all about those awesome designers that made the middle part of the 20th century an oasis of design. We've worked hard to put together twelve of the coolest MCM-inspired how-to projects you could ever imagine. Each article includes some background on the designer who inspired it, a materials and tools list, and detailed step-by-step instructions with high-res photos. Got a DiY-er in the family? This issue will make an awesome gift. Fanatic about MCM? You'll have plenty of cool projects to work on for months to come!